Have you heard your child grinding his or her teeth relentlessly at night? The sound is intense and probably the feeling to. In medical terms grinding of teeth is referred to as bruxism. For some, it may be but just a common phenomenon, but in reality it can have far reaching effects. Bruxism can damage teeth and be the cause of jaw disorders. Gum problems can also surface if one gets into the constant habit of grinding teeth. Those who develop bruxism and constantly grind teeth while sleeping have been recommended mouth guards. Do these mouth guards really help? 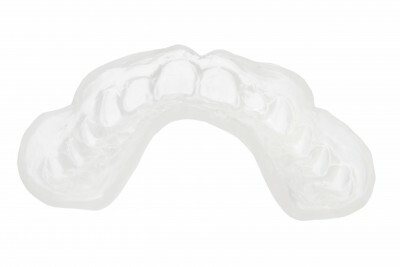 Mouth guards are guards that are worn at night to prevent bruxism. It also wouldn’t be wrong to say that wearing mouth guards helps to minimize bruxism. One that can just be bought over the counter. This is made of a special material which when immersed in warm water and worn, takes on the shape of your teeth. On the other hand, a mouth guard that is prescribed by the dentists is custom made for the patient. Once a guard is prescribed a dummy guard is made out of plaster, which is then tested. It has to be a perfect fit before a final one is made at the lab. Needless to say this is far more of a perfect fit. There are questions about how much do guard’s help in minimizing bruxism. They may not completely obliterate grinding, but help to protect the teeth. The teeth do not come in contact with one another and therefore are saved from abrasion. The constant brushing of the teeth is reduced and therefore the teeth get protected from the damage. There are various reasons that have been attributed to bruxism The causes may be attributed to stress, questionable lifestyle, anxiety, or dental disorders. It is important to relax and take steps to reduce your stress level in your everyday life. If grinding is because of dental disorders, it is necessary to consult a dentist for further diagnosis and right medication.